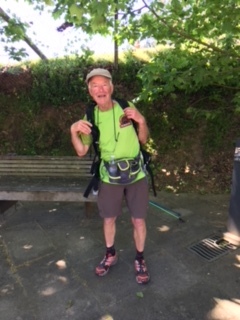 Local resident Nigel Lambert is off on another of his marathon walks. 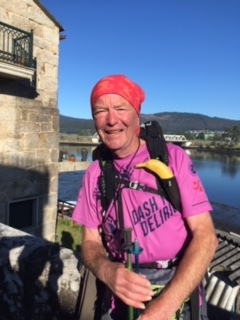 This time he is tackling the 635km trek to from Lisbon to Santiago de Compostela. Visit this page for his latest updates. Great albergue at Padron but spoilt by group of Italian pilgrims who came in at 11.30 somewhat drunk. Did not get any sleep and started walking at 5.20am. 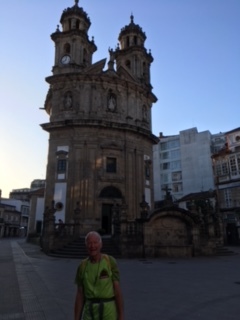 25k to Santiago arrived at Cathedral at 11. 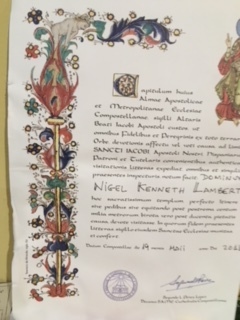 Queued for an hour to get my Compostela – job done! Good albergue at Caldas de Rey in 4 bed room. When I got in both bottom beds occupied by young Hungarian couple but wife told husband to give his to me. Clearly I am looking old and worn out! Left at 6.15 this morning in dark and cold. First cafe after 5k at Carracedo for welcome coffee and toast. As I climbed out of village sun was rising. 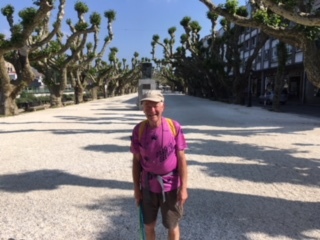 Yesterday was somewhat stressful in that getting to the albergue at Pontevedra was torture through back pain. Having showered I rested on my bunk bed but when I got up did not know someone had opened window. I hit corner and sustained lacerations to forehead. Czech couple came to my aid, stemmed bleeding and applied plaster. Today arranged for my rucksack to be transported to albergue at Caldas de Rey. Walking without it was wonderful! 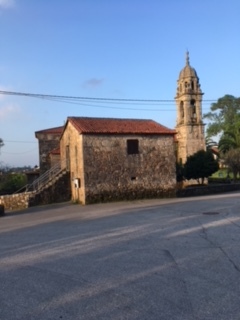 16 May from Redondela to Pontevedra, short day of 18k. Dozed up with ibropruferen went well for first 2 hours and then back pain started. Delightful countryside and first glance of sea. 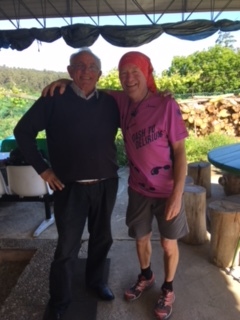 5k from Pontevedra back pain intense and stopped at cafe where the owner rubbed a lemon based cream into my back. Think the fresh orange juice did me more good! 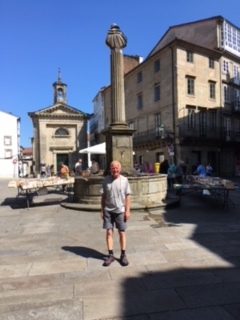 Got to municipal albergue at Pontevedra to join queue for a bed. 15th May was a bad day from Valenca to Redonela. 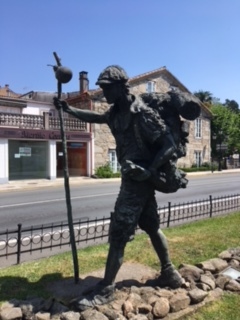 34k on a hot day and starting to suffer back pain from 2012 injury on Camino Francais. With 5k left could stand it no longer and went into a cafe to order a taxi. 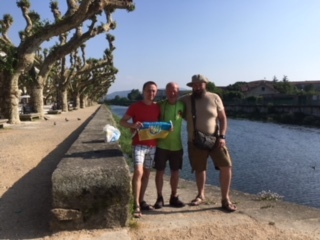 After a reasonable night in albergue set off from Redondela at 6.45 am. Early start on 14 May to climb mountain in heavy cloud. Reached Rubiaes at 9 and by 3 at destination of Valencia, close to Spanish border. 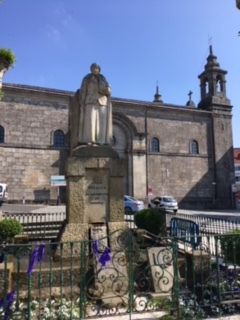 The next stage from Ponte de Lima to Rubiaes involved some serious climbing so I decided to walk the first 10k to an albergue, adding it to an already long day on 13 May. 13 May was the celebration of The Lady of Fatima. Pointe de Lima was lively with people in national costume. 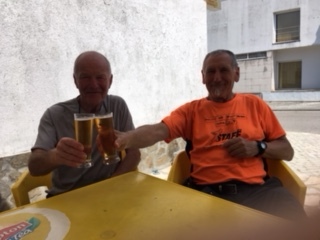 After a very long walk from Coimbra to Agueda stayed albergue sto António at Agueda. No restaurant but others preparing dinner in the kitchen I had no provisions so accepted would only have my last orange. German lady gave me an enormous plate of pasta she had cooked. 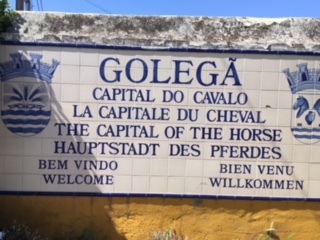 Continued today to Albergaria a Velha and then to Albergaria a Nova albergue. Lunch in restaurant 4 courses with wine and port for 8 Euro in company with a young Canadian man. Sun is shining and at last at peace with the world. 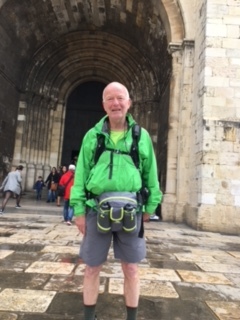 Having completed seven days on Camino chance to assess how it is going. A big problem for everyone is having to walk 30k plus every day. First four days lot of busy roads. Two days ago as we got close to Tomar a lady came out of her house and in English asked if we would like a drink. She came from Cannock and was a Villa supporter. After 3 glasses of cold Fanta I was physically and mentally renewed! 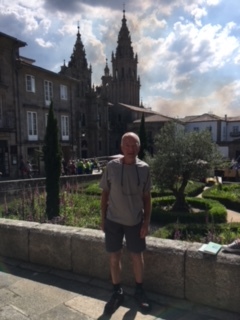 In the historical town of Tomar at end of day 5 on Camino Portuguese. Walked today with Spanish man Italian lady. International relationships are so important. 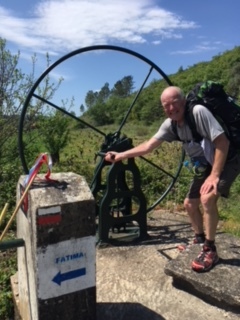 Day 3 on Camino Portuguese from Azambuja to Santerim. 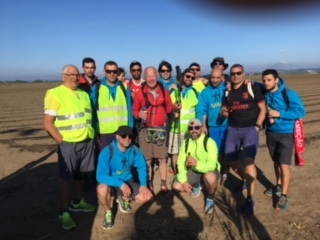 At 8:30am group of young Portuguese pilgrims on way to Fatima called out to me to join them for a beer. They made a great fuss of an old English pilgrim and gave me food and drink for my day. 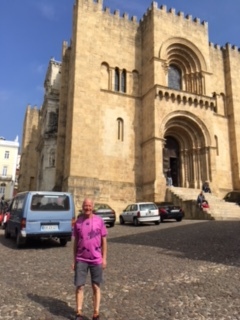 Nigel at Lisbon Cathedral at the start of his trek.